What is a Contested or Uncontested Divorce? – Daniel M. Copeland, Attorney at Law, P.A. 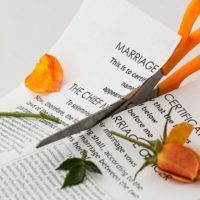 After showing proper residence in Florida, which is six (6) months, and that the marriage is irretrievably broken, the petitioner will file a petition for dissolution of marriage with the clerk of court and have the petition “served” to the respondent. The respondent must file a written answer to the petition with the clerk of court within twenty (20) days after they have been served. With an uncontested divorce, both spouses must have all issues related to marital property, marital debts, and issues relating to the minor children from the marriage settled. This can be done with a marital settlement agreement. This agreement must be signed by both parties. Both spouses must also complete a financial affidavit even if you and your spouse have no property. In a contested divorce spouses can’t or won’t agree on the division of marital property, marital debt and/or issues involving minor children from the marriage. After the one spouse files the petition for dissolution and the other spouse answers, discovery will be done, mediation will be required and if both parties still can’t agree, they will go to trial in front of a judge. The judge will they make the decision as to all of the outstanding issues in your case. If you need this type of divorce, you should seek the assistance of a lawyer. If you have find yourself in this type of situation, immediately contact Daniel M. Copeland, Attorney at Law, P.A. at 904-482-0616 and schedule a free consultation to discuss the specific facts of your situation.